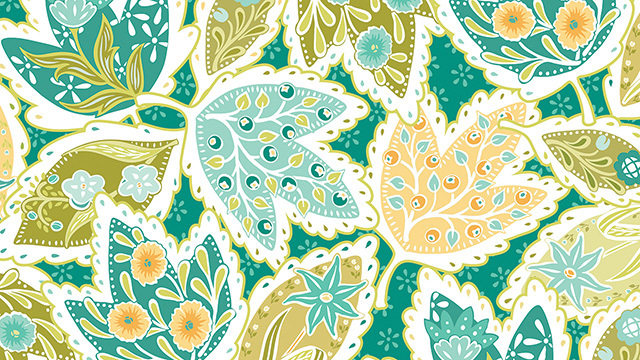 Amanda Murphy Design: The Bernina 780 - Paintwork Leaves! 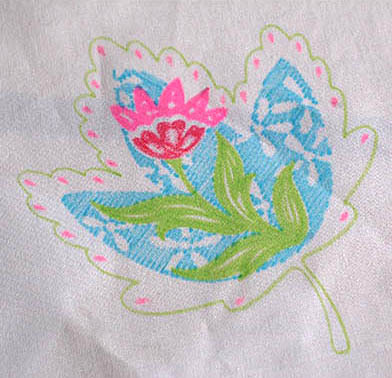 I sewed a lot in two weeks and still had one night left with the Bernina 780. I decided to experiment a little more with PaintWork. 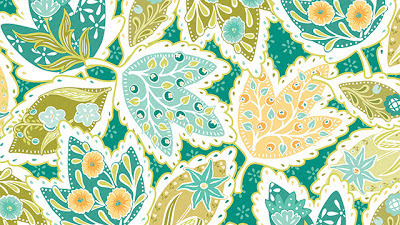 I took some of the leaves from my Bella feature print that I designed for Blend Fabrics and converted them in DesignWorks. If you don't believe these were painted by a sewing machine just watch the video!!! 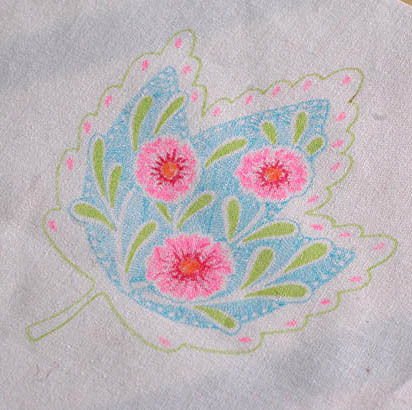 Thanks so much for following along as I explored the features of the Bernina 780. 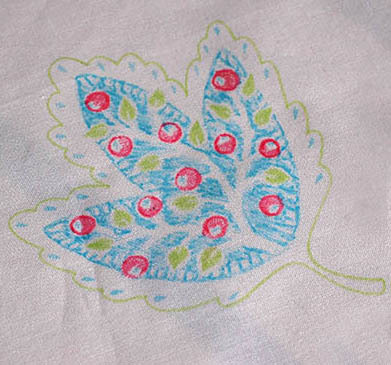 Thanks also to Bernina and the staff of Sew Much Fun in Lowell, NC for making it possible. OMG, that's crazy! I didn't know Bernina had come out with actual pens for fabric and manipulated by the sewing machine! WOW! You must have had so much fun, it really opens up to a world of new creative possibilities!